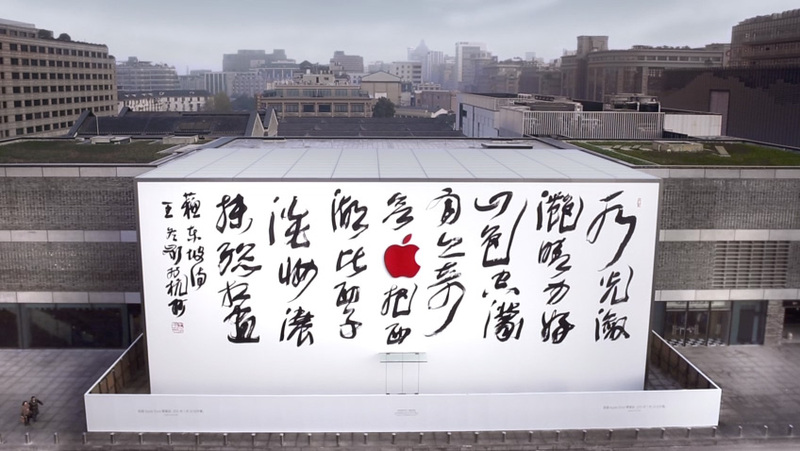 Apple is only days away from opening its latest retail store in China, and to celebrate the event the company released a video showing artist Wang Dongling creating a mural that's currently covering the location. The mural is a poem about West Lake in Hangzhou where the new store is located. I like to compare the west lake to "Miss West." Apple plans to open the new store on Saturday, January 24.